Picnic, $10*/person. Register here to attend. *Tickets for picnic only. All members welcome to member meeting at no charge. Why are members voting to amend the Articles of Incorporation? 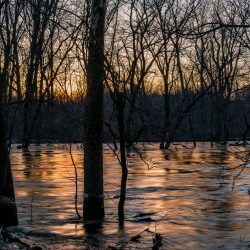 Delete Sections 4.2 and 4.6, which provided for three (3) directors to be appointed by the Indiana Department of Education, the Indiana Park and Recreation Association, and the Indiana Chapter of The Nature Conservancy. These groups no longer appoint persons to ACRES, Inc., so we have no class of directors called Appointed Directors. There are other conforming changes, such as the deletion of the word “Elected” and the renumbering of paragraphs in Article IV. Delete Section 5.6(b), which provided a substantial obstacle to modification of these Articles of Incorporation. This is the section that requires at least one-third (1/3) of the voting members to approve any change to Articles IV or V in two consecutive annual membership meetings. The Board determined to eliminate this “two-annual-vote” requirement so that any further changes (such as those needed in Article IV) will not be so difficult. ACRES’ Board of Directors is comprised of 18 members. Board members serve three-year terms. The Nominating Committee has selected the six nominees below to serve as board members for the 2018–2020 term. There are six positions and six candidates. You are voting for or against each candidate. Current President and completing his fourth term on the board, Steve has led the board toward increased focus on strategic planning and defining core values. Vice President and Trust Officer of First Financial Bank and member of Manchester Symphony Orchestra. Passionate about marketing strategy, helping others and (of course) the great outdoors, Ashley has served four years on the board. She was appointed in 2015 to fill a vacant seat, and is looking forward to continuing ACRES’ mission with her marketing and connector skills. Dawn received her B.S. in Education at Indiana University-Bloomington in 1991 and her M.P.A. in Environmental Policy and Natural Resource Management from IU-B in 1995. She has worked for the City of Fort Wayne since 1994. From 1994 – 2005, Dawn worked in the Solid Waste Department. Since 2005, she has been the Greenways Manager in the Public Works Division. 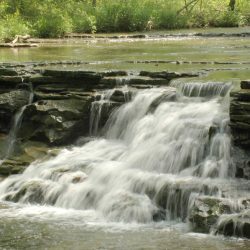 In this role, Dawn oversees the 110-mile Regional Fort Wayne Trails network, including the 25-mile River Greenway. She is involved with the planning, design and construction of over 100 additional miles of trails in Fort Wayne. Her department also oversees the trail maintenance and volunteer programs. Dawn’s interests include traveling, hiking, camping and sports. She is a member of American Trails, Rails-to-Trails Conservancy and American Public Works Association (APWA). She sits on the Advisory Board for the Greenways Foundation, Inc., the Headwaters Junction Board, the NE Indiana Water Trails Board and the ACRES Land Trust Board. Dawn serves as an ad hoc board member for Fort Wayne Trails, Inc. Dawn’s passions include greenways, parks, conservation and animal rights. Vice President, commercial banker for Centier Bank, specializing in commercial real estate finance. David has been in banking since 1975, having graduated from Indiana University with a B/S in Accounting. David is also a graduate of the Graduate Commercial Lending School at the University of Oklahoma. 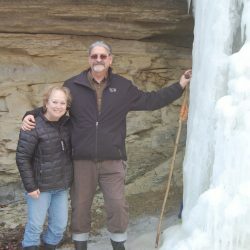 A life-long resident of Indiana, David was born and raised in Fort Wayne and resides in rural Allen County near Spencerville with his wife Kellee. David is active in several philanthropic organizations including as a Board Member of ACRES Land Trust and The Greater Fort Wayne Crime Stoppers board. A nature lover, David shares a deep appreciation of nature and conservation. Following retirement, to his surprise, Wayne’s culinary interests led him to launch Best Boy & Co, a specialty food business featuring his own recipes. Prior to this, he built and sold more than twenty businesses, primarily in healthcare. Wayne’s history of service includes a number of local organizations, such as Junior Achievement, Turnstone, Indiana Artisan and Artlink. He also served on the Trine University’s Board of Trustees. Wayne’s interests include woodworking, lutherie and cooking. Jerry recently retired as Professor of Biology for Manchester University where he taught Principles of Biology, Limnology, Invertebrate Zoology, Environmental Science (Introductory and Advanced), Marine Biology, Ornithology, and a travel course to Andros Island, Bahamas. His research interests included effects of non-point source pollution on stream fishes, long-term biological monitoring of coral reef fish, population trends and dynamics of Black-Capped and Carolina chickadees, nesting habitat and population dynamics of Eastern Towhees. Jerry has also led research regarding removal of low-head dams and fish passageway structures. He is a member of the American Fisheries Society, Ecological Society of America and Ecological Restoration Society. It would be especially nice to see/read the “bios” of the two new candidates for board service. Could you e-mail them to the members?